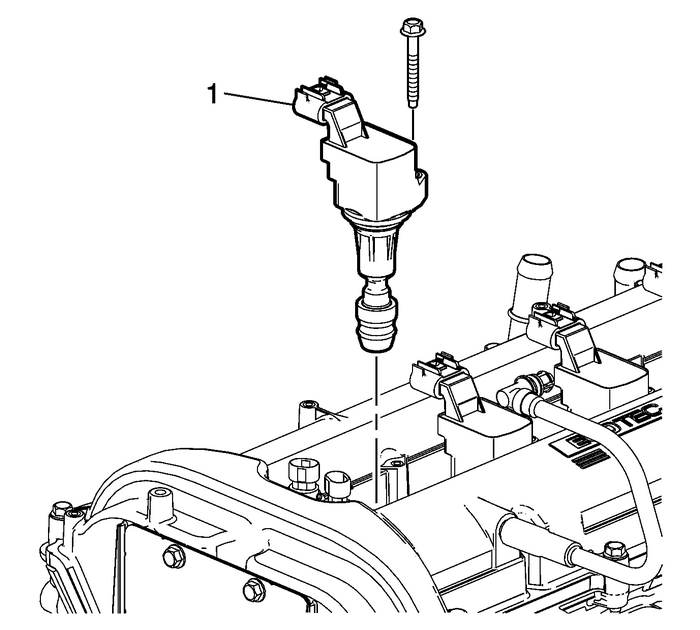 Remove the rear lift bracket-(1). 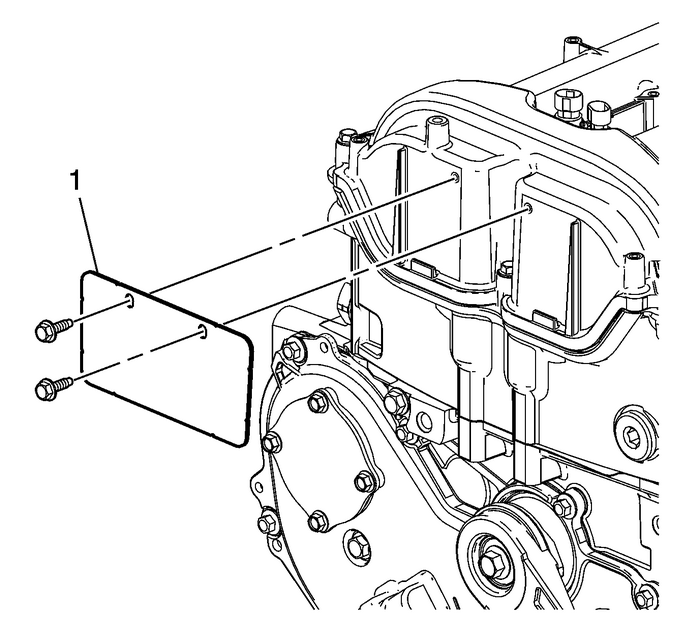 Remove the front lift bracket-(1). 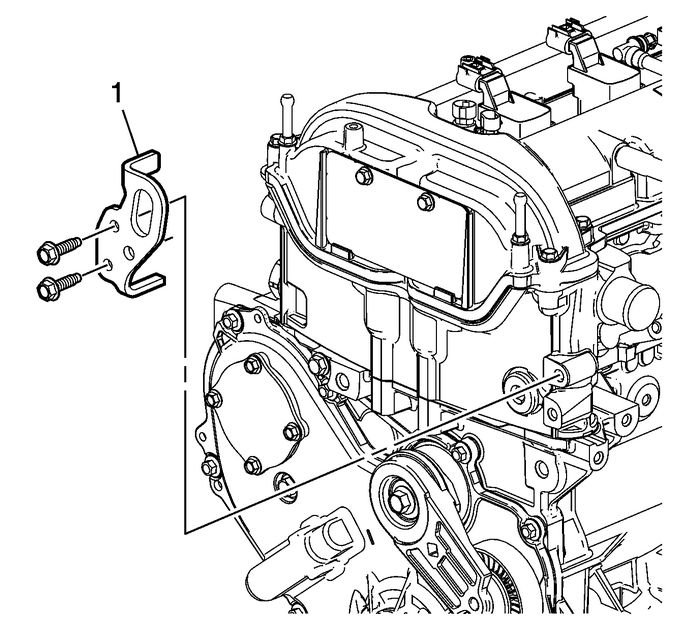 Remove the camshaft housing coverinsulator-(1). 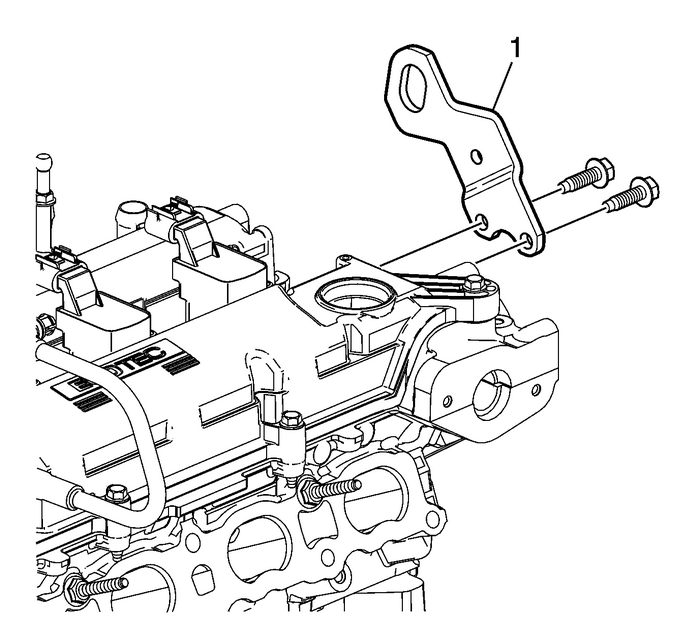 Note:DO NOT remove the PCV hose from the camshaft cover. If damageto the hose or connectors is present, the cover must bereplaced. 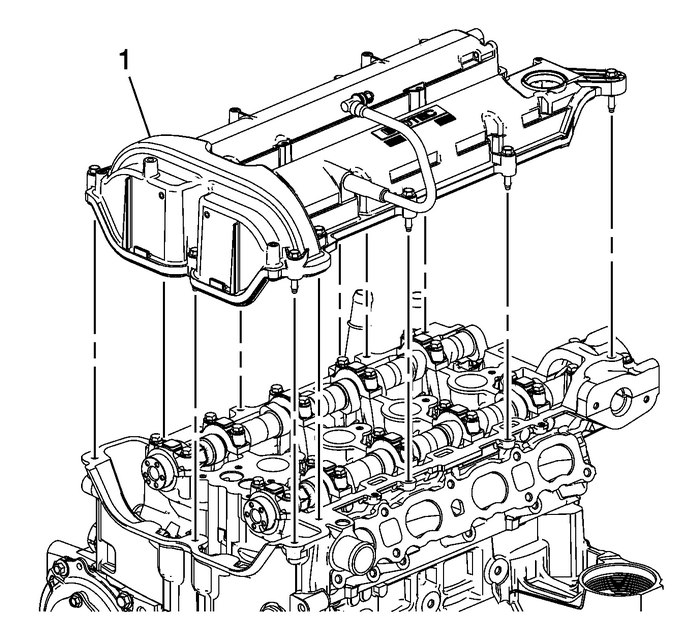 Remove the camshaft cover assembly-(1).Remove and discard the camshaft cover gasket, camshaft covergrommets, and camshaft cover bolts if they are serviced with thegrommet.